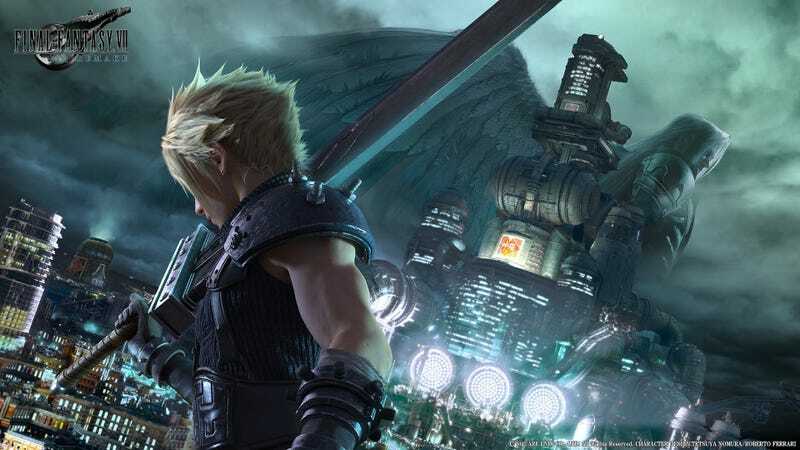 In December of last year, a rumor cropped up suggesting that Final Fantasy VII Remake Episode 1 would release by the end of 2017. And about a month or so before that, the voice actor for protagonist Cloud Strife mentioned that he was recording for the game. Voiceover happens throughout the development of a game, usually right up until the end of development. Final Fantasy XV didn’t start full recording sessions until 2015 at the earliest, and this was when the game was deep in development and nearing the final stages before the big blowout in 2016. As stated by producer Yoshinori Kitase in this article from EGM Now, the voice recording for the first installment of Final Fantasy VII Remake is almost finished and will be wrapping up soon. Considering we’re just about to enter March, the game still has, counting March, 10 months to release and still be inside 2017. If the voiceover portion of the development process is finishing up now, that indicates the game is farther along that many have likely assumed, and that Square themselves even seemed to suggest at the end of January, where director Tetsuya Nomura stated that both it and Kingdom Hearts III were a ways off, though to be fair he did say VII Remake was progressing steadily, so the previous statement may have been more about Kingdom Hearts III. I’m gonna go out on a limb and guess that we’ll get a big trailer for VII Remake at Sony’s E3 2017 press conference in June which will reveal the release date.